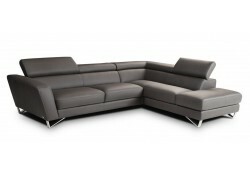 Nicoletti sectional sofas bring high quality and exclusive design together. 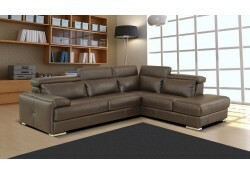 Upholstered in genuine full top grain Italian leather this is a smart investment for your home. 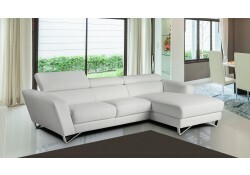 Contemporary and modern style Nicoletti sectional sofas come in different colors. 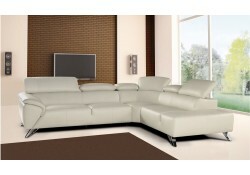 Designs include stainless steel legs, adjustable headrests and comfortable seating. 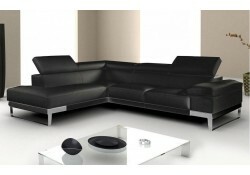 Thick T5 leather all around which is the highest grade that Nicoletti provides. 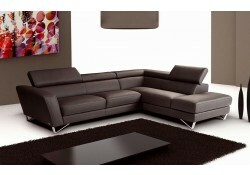 Product pictures below include colors that are in stock and available for fast delivery. If you prefer a different color other then shown on the product pictures below it is possible with special order. Please contact us regarding more details 877 349 8277. 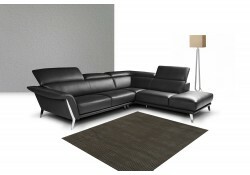 Special orders usually take around 3 months since Nicoletti will be making 1 product just for you. 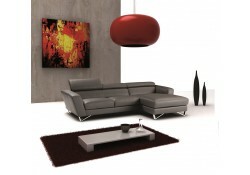 We try to present as many colors as possible in order to deliver within usual time frame which is around 2 weeks. Free shipping nationwide plus discounted prices and promo codes. 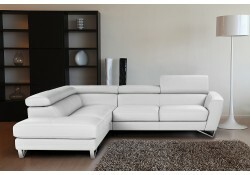 Nicoletti leather sectionals can be delivered with a "White Glove" service in all states.